Oooo. Exciting. When are you going? BIG price jump for 2019 coming on the 1st August!! Made our last payment this week...holiday and tickets all paid for, now just need to save some serious spending money! I am seriously excited! woohooo which theme park tickets have you gone for? All the Disney parks, universal and legoland. We’re also going to the Kennedy space centre. How much spending money do you think were likely to need? Ok so when we went last year as 3 adults and stayed where you stayed and went to where you are going I took £1000 spending. That free breakfast at the comfort suites saves you a bloody fortune!! Quick service Theme park food average $15 per adult meal and $8 per child plus sales tax(I think sales tax is 6%). 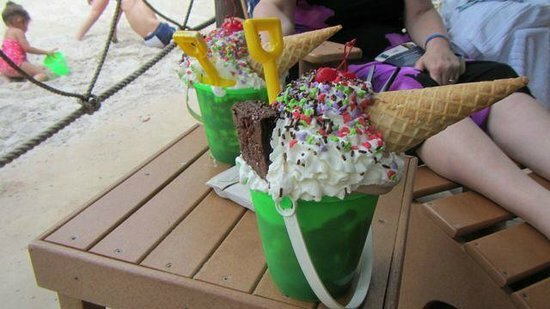 No idea about eating outside of theme parks. Merchandise is expensive, however, you can pick up stuff cheaper at Orlando Premium Outlets as Disney and Universal have stores there. One tip, which is not for everyone is I also pack a few Disney bits from Primark, pound shop etc to give to the kids as new while there. Things like Minnie mouse ears you can get for £3 from Primark($25 at Disney), colouring stuff from the pound shop, Primark even have Mickey cuddle toys which are much cheaper than Disney world ones. They still get $100 to spend but that doesn't go far. We've just been gifted some Thomas Cook vouchers so going to use them as a deposit for a holiday to Florida. Any recommendations? Where is best to stay? Shall we book park tickets with the holiday or buy them separately?When's the best time to visit? I can only speak for myself but.. if i was going florida, i'd pay like to my respects to xxxtentacion at his gravesite. Some people will, as I said not a tip for everyone. I have 3 children though so it helps make spending money go further. They still have spending money for the parks anyway. Ah yeah with kids I get ya. They won’t notice the difference anyway!! Amazing prices at the moment and they have 'book now pay later / installments' which is what I love!! Will be fast pass booking day before you know it!! Counting down! Hoping for a profitable cheltenham now to boost the spending money pot. Florida is not a cheap holiday as I am learning! Might stick to something a little closer to home next year!